CPU Something the December lifehacker article couldn't foresee but logical increments has accounted for: the i3-7100. Dual-core 7th gen kaby lake clocked at 3.9ghz. Don't get me wrong - I'm a total fan of overclocking. But my bro's just starting out and still can't thoroughly cook a burger patty without burning it, nevermind a processor. 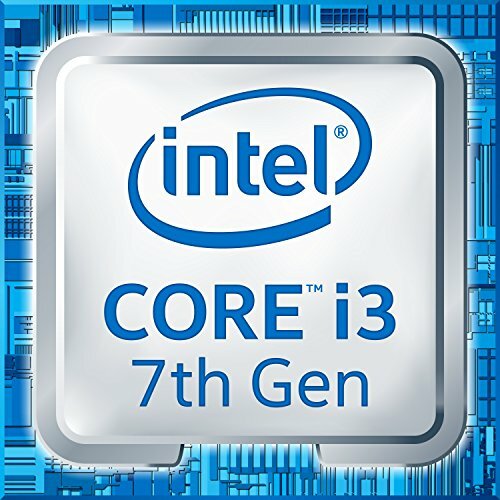 It's not as robust as an i5, but remains a great value for the clock speed. Plus, this means less money spent on an aftermarket heatsink as the stock fan is adequate. Bear in mind that if you don't run win10, you'll probably want something else as I read multiple reviews of people jumping through hoops to install win7 or 8, and many times without success. Planned obsolescence at it's finest. MOBO MSI, cause I like 'em. Mini-itx. Wifi's nice cause we live in a rural area necessitating trips to town for downloads and mobile hotspotting at home cause we literally can't get wired internet here. (Yes, we are those laggy players.) And bluetooth's good cause he's got a sweet pair of jlab epics. Ddr4 2400 mhz ram compatible (with appropriate cpu, which the 7100 is). Turbo M.2 (optane ready) for good storage upgrade options in future. A January release like the cpu so hopefully pretty future proof. RAM Went kingston instead of the avexir cause backorder's nuts. (My price was different cause of a newegg rebate sale.) Again, ddr4 2400mhz. This is a common error I've seen, present on the lifehacker build and on the entry-level build I saw on here: Make sure your cpu and motherboard support the speed of your ram. Yes, it doesn't have to - ram is ram - but if you use ram with higher mhz than your other components support, you will never be using that stick to the best of it's ability. ...at least, that's what I gather. Correct me if I'm wrong? Oh, and 1 stick specifically so that if he'd like to upgrade later, he'll only have to buy one more instead of replacing two smaller ones. Heatspreader's nice to have too. STORAGE I did this last and couldn't budget in an hdd. Sue me. Hard drives are fairly easy to come by, I think (friend's broken laptop, spare external drive, etc), but ssd's is slim pickins and, from what I'm told, basically a necessity for high-def gaming. So I opted for a bigger ssd by itself and nixed the hdd for now until time or opportunity allow. 240 gigs is enough for the os and 2-4 major games, I think, which is more than he plays at a time anyway, and it's small enough that it's easily backed up which is an important habit for him to learn andalsobecauseihaveafundementaldistrustofssds. I didn't want an unfamiliar brand, didn't think cacheing was worthwhile (and is unsupported by this mobo anyway - no raid), and this one simply had nicer reviews for the price point. GPU Recommended by logical increments and lifehacker. Not the 1050 because we need to futureproof a little here. Not Radeon 480 cause 1060 has a higher clock speed (though, yes, reviewers consistently put the two on par) and the 480 looks like it comes out a bit more expensive right now. He also wanted this pc asap, so waiting another month for amd's new line to reduce the price on their current ones just wasn't feasible. Couldn't fit MSI's gaming X variant (literally, in the case), even though I really wanted that patented quiet fan, so Gigabyte's windforce it is, whose fans, so far, have only been audible when you're close enough to lick them. 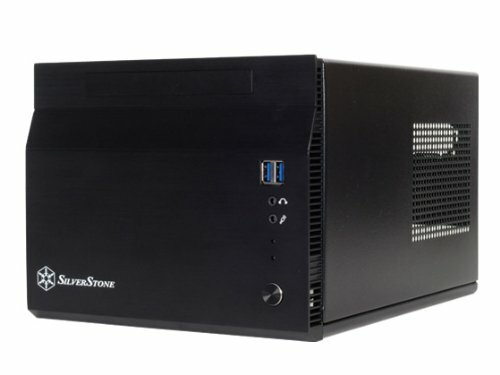 CASE Now here's the kicker: Silverstone's sg06. This thing 's the primary impetus behind many of the build's choices. As mentioned earlier - our only internet connection is mobile and that just won't do for downloading Overcall of Titanfield, nevermind all the updates. So he needs a build he can haul to friends' houses or the library in town. Also opens up lan gaming possibilities. Now, yeah, there are some really nice cases with handles out there, but I wanted to stay below $50 and as small as possible while allowing room for a scavenged optical drive. This was my answer. When I found out that it's only for mini-itx mobo's (and what those were) and that they usually come with wifi and bluetooth built in, even better. I plan on 3d-printing a handle for it later. If you've no need for an optical drive, definitely go with the sg13's. If you need room for graphics cards longer than 10" or prefer a full-size psu then you'll probably want the Cooler Master elite 130 (which I hear are far better designed). And if you want more pcie16 slots or more than 2-3 drive bays, don't do a mini-itx build. Micro-atx would serve you much better (and open up the possibility of pcie ssd's!). All in all, yes, it's the single most limiting factor of this build, but it's also the most portable. Since we're just running an i3, shouldn't need more than its stock 120mm front fan. But, if needed, a heatsink could be added in the 80mm clearance above the cpu. See my part review for installation tips. 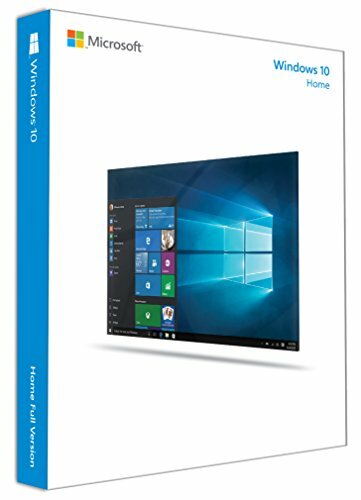 OS Win10 home. Not OEM. My understanding is that OEM's are only installable on one machine ever? So I opted for the USB. I figure that's $100 less off a future build or installation (though, yes, not concurrent). Am I mistaken about that? Amazon had it for $110 and I bought direct from them - not any 3rd party sellers - to prevent the chance of a bad authorization code. PSU Bronze rating. The parametric filter showed that silverstone is a big presence in sfx size psu's and among the most affordable. Pcpartspicker also showed that 450 watts would be more than double enough for this build, providing ample elbow room for upgrades in future. Modular would be better, especially for such a small case, but that's $40-50 more and unnecessary (reviewers said - and I can confirm - that the cables can be managed, if only just). Why did I add this as a custom part instead of using the one in the parametric list? Because that one's their v1 with a decidedly noisier fan (as discovered in amazon reviews). This link goes to newegg's listing for the v3 with a bigger, 92mm "silent" fan that the internets have spoken highly of. If you need significantly more wattage than this, consider jumping to a different brand - reviewers of the higher wattages complained of failing units. Something about Silverstone skimping on capacitors, whatever that means. And that's the JoshBOX. OS bought off Amazon for better price. Everything else on Newegg because I like all my stuff arriving in one box and cause Arkansas recently started requiring Amazon to charge state tax (le cry), costing nearly $50 more (but maybe our roads will finally get better! yay). As said, this is my first build and I've kinda taught myself to swim with it. It was super fun to research and put together (though, getting everything organized into that tiny case was so hard). Please let me know what you think of my choices, if I'm mistaken about anything, if there were better options I overlooked, or if you have any questions. I feel pretty good about it if only because on nearly every component the next really significant option would add $50-100 to the budget, placing this on a mid-to-high tier that should serve him very well for quite a while. Thanks ya'll! Does not come with led's despite being mystic sync compatible. There is a port for an led strip though. That disappointment aside, great mobo, great value. Love the extra heavy soldering - helps with ham-handed builders like me. Turbo M.2 (optane ready) great for future ssd upgrades. Comes with two sata cables (one 90 degree). Supports 7th generation intel chips. Compatible with ddr4 2400mhz ram sticks (with supporting cpu). Nice looking too. Bought over Avexir b/c backordering's a bear. It's ram. Decent-looking heatspreader. Got it on sale (rebate) at Newegg. I wanna give this a higher rating, but it really is a difficult and flawed case. It's pretty old now and it shows it - no thumbscrews, no built-in wire management (does come with a mountable clip), no slide-in drivebays - but, you're not gonna buy it 'cause you want an easy install. You'll buy it cause it's the smallest sub-$50 case on the market with an optical drive slot. I bought it cause we live in a rural area necessitating trips to town for decent internet downloads and don't want to deal with a lug of a case. Comes with all the screws you could need and then some (including super tiny ones for mounting a 12.7mm slim optical drive). DEFINITELY recommend a magnetic screwdriver. Philips. Long. Thin. 120mm case fan included. Cover is removed via 4 screws and a series of tabs that you really have to watch out for (corner sticking out? rogue tab). And to get your mobo in, you have to remove the triple bay super-structure, add your drives, mount your psu, and then put the bays back on (the lower 3.5 one, again, with tricky tabs). Remove the cover and bays and mount the mobo with only ram and cpu. Connect led's, power, reset, and fan to mobo. 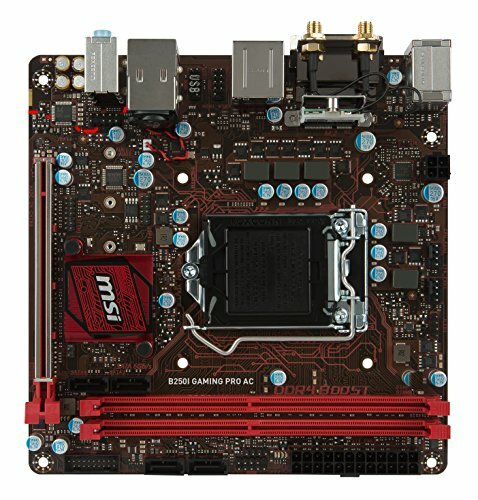 Mount and connect psu to mobo. Zip tie some cables to keep clear of your cpu fan. Install ssd, hdd, and any laptop optical drive on the bay brackets. Remount bays (psu cables mashed a bit). Graphics card is swung in from the side (yes, last). Connect any psu cables to gpu, finish cable management, reattach cover. The body's metal with a plastic front panel held on with (you guessed it) tabs. This panel is like half a mm taller than the metal body, resulting in an unflush bottom edge that drags across any surface. (I mean, nice rubber feet are included, but before adding that it's annoying.) As a result (or maybe by default), the lowermost tabs holding this panel on suffer breaks that render them useless. I fixed this via a couple well-placed zip ties mashed down with pliers (you can see it in the corner of one pic of my build), but still, really annoying design flaw. Only other jerry-rigging I did was some mounting tape to keep a power cable from twisting a sata connector. Still though, with all its faults, the end result is so compact that you can't help but love it - ala stockholme syndrome. See my completed build for any suggestions about alternative cases with similar form-factors. TL;DR Wow that was hard. Wow it fits. USB 3.0 slot = 10 minute install. Sweet and painless. Lightly scratch off the code's cover with a coin. Don't buy from 3rd party sellers. Enjoy future installations. Added this instead of choosing the already listed version b/c this is their v3 with a much bigger (read: quieter) fan. Can confirm. Totally agree, people really don't do enough research on parts. Especially with budget builds the past few weeks. I don't know what's going on with people. If I'd had a spare cpu, I might've gone for upgrading an older board, but this was my first time buying one. Why do you recommend the 4560? I love it. Way to take care of your brother. Very nice build. That's very nice of you to create a build for your sibling! Would this cpu bottleneck the gtx 1060? I have the i3-6100 in my parts list but people have been saying it would bottleneck it. Sorry for not replying sooner - just saw this. The i3-7100 has been serviceable, but it definitely is the bottleneck. If I'd had another hundred to spend, it would've gone to an i5, definitely.